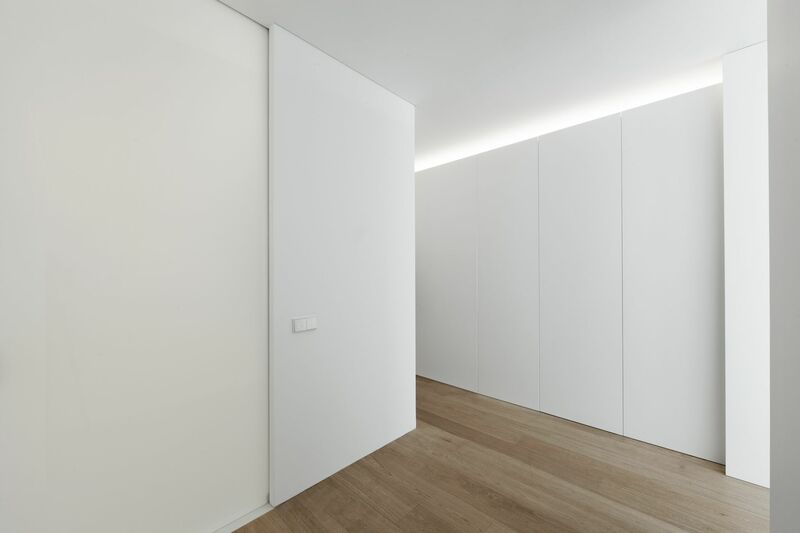 Whitewashing, Enjalbegar in spanish, many languages ​​have verbs that describe the action of lime painting the architectures to clean and embellish them. 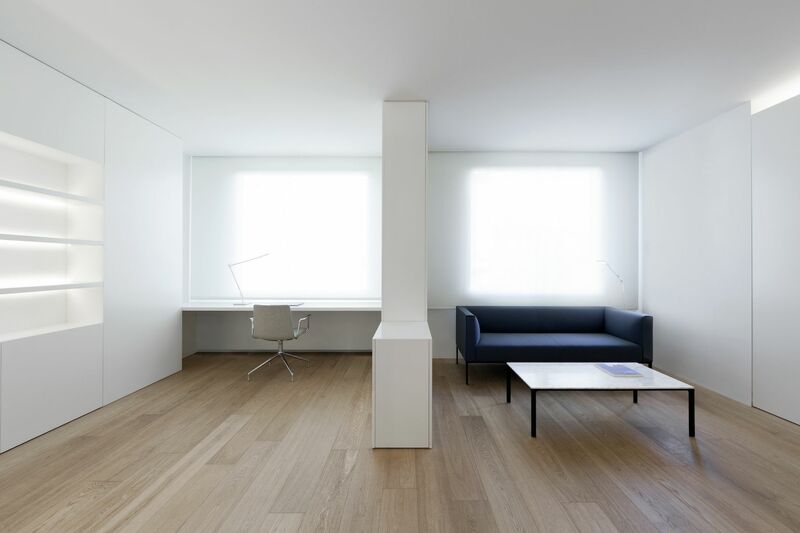 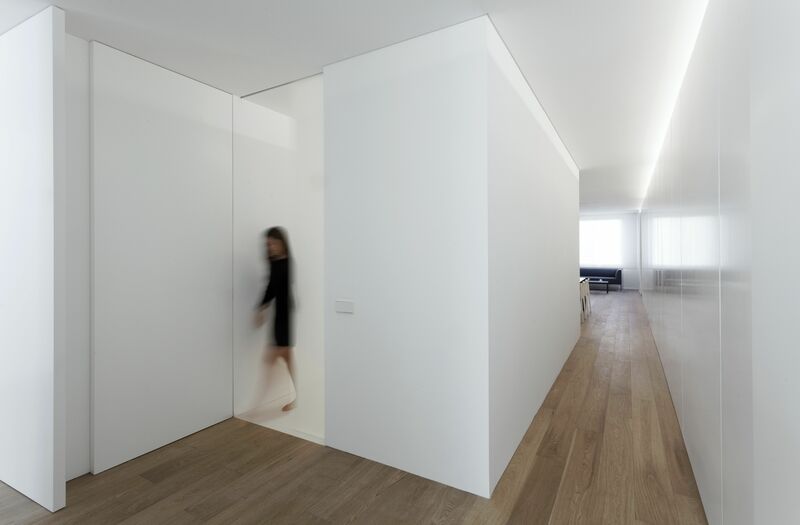 In this case it is about updating an apartment with a characteristic distribution of the Valencian expansion district. 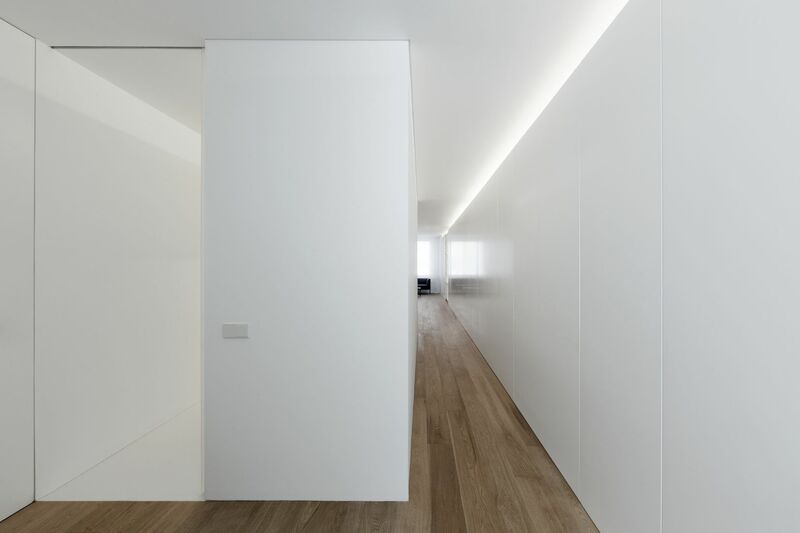 This type of buildings with a high depth of block and a small central courtyard determines the possible distributions. 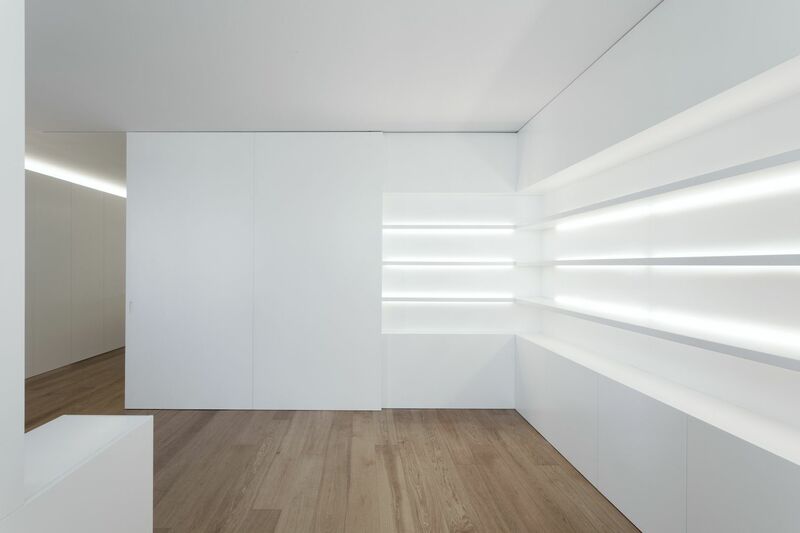 We approach this work in a systematic way, but here the action of whitewashing goes beyond the treatment of surfaces. 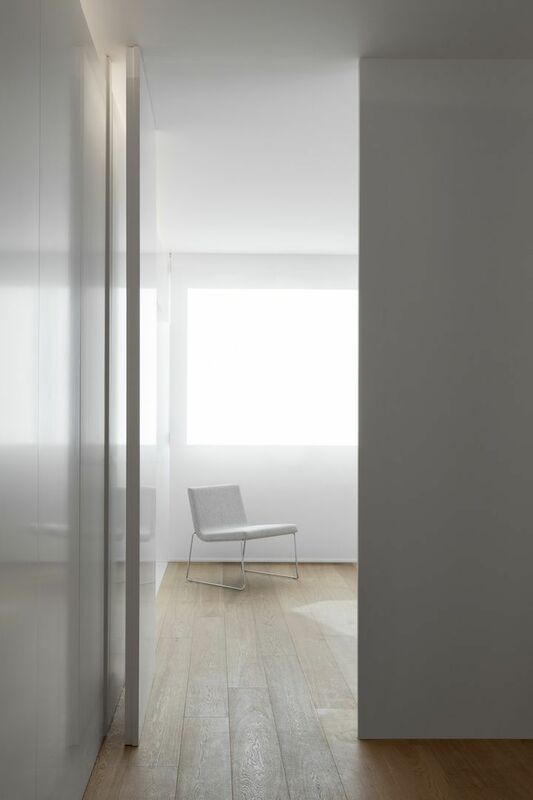 The new technical systems are integrated, the thermal and acoustic conditions are improved, the windows are changed, the necessary insulation is installed … The structure disappears between the divisions, inside the furniture to achieve the pleasant sensation of spatial continuity. 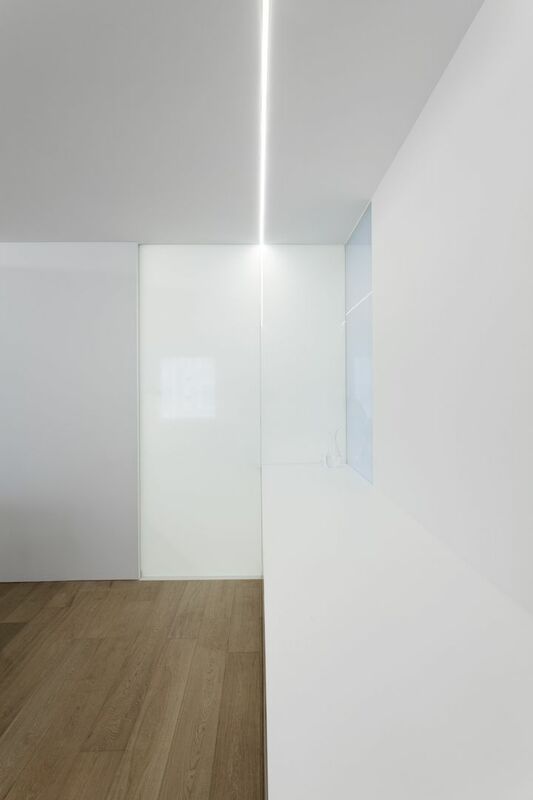 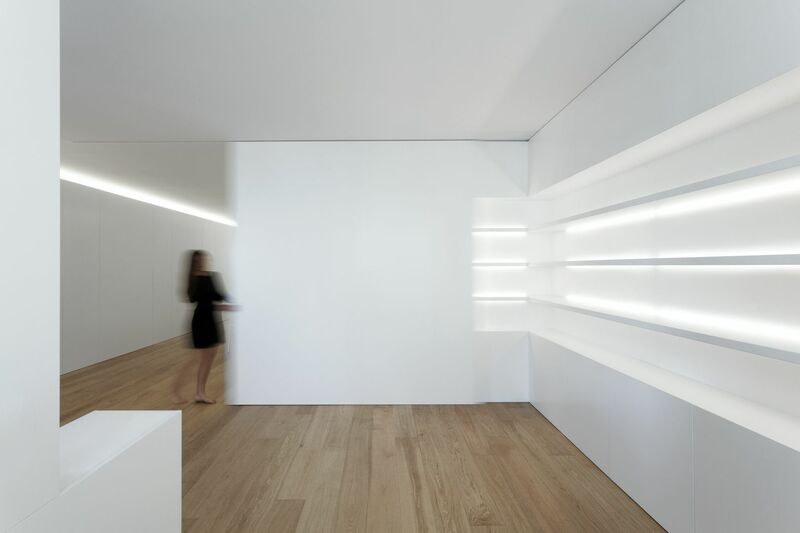 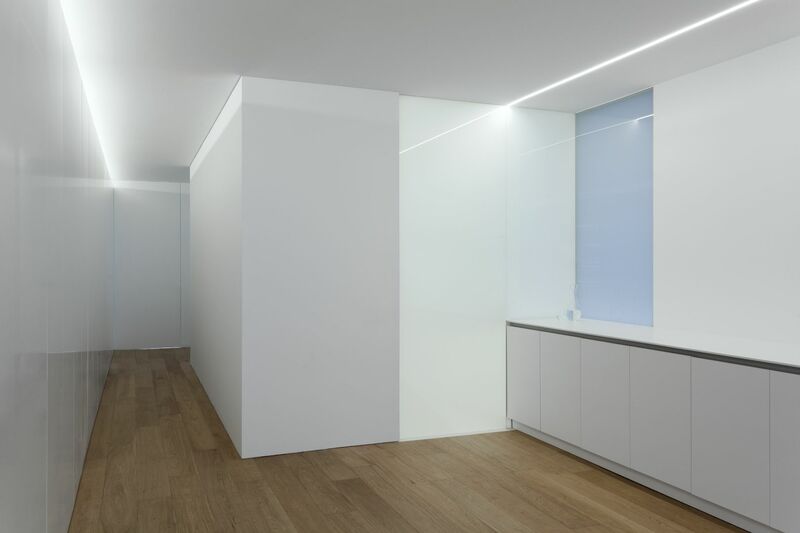 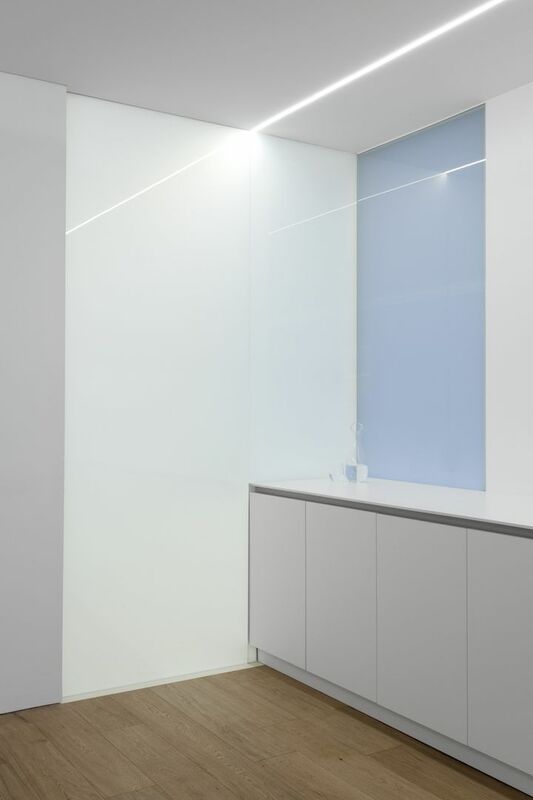 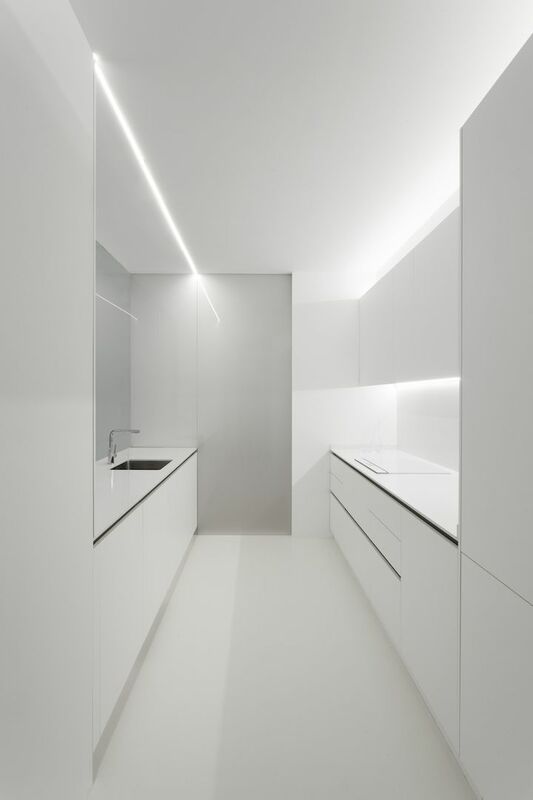 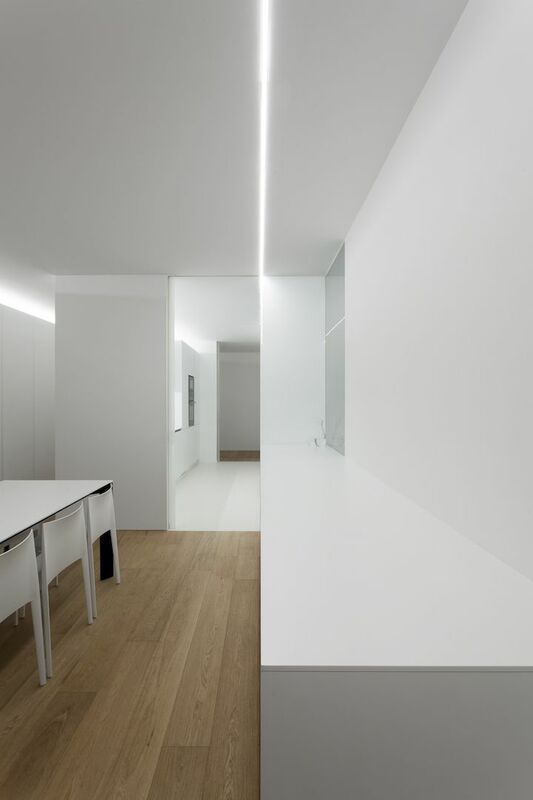 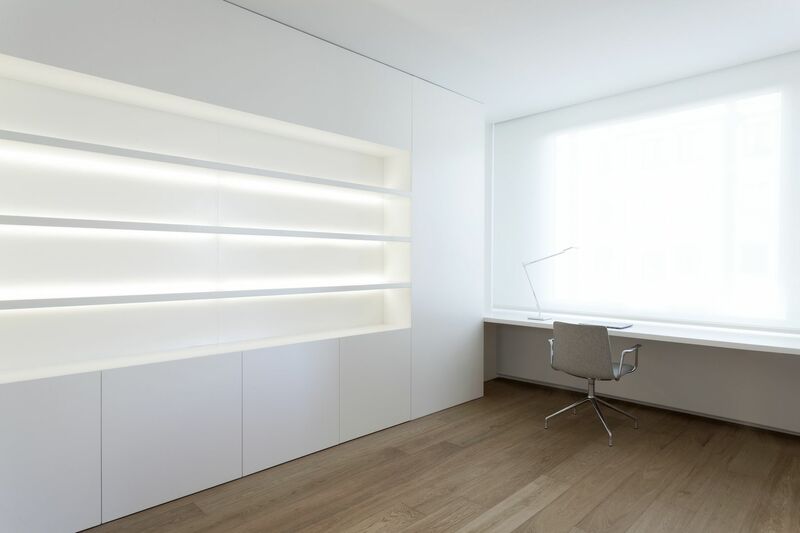 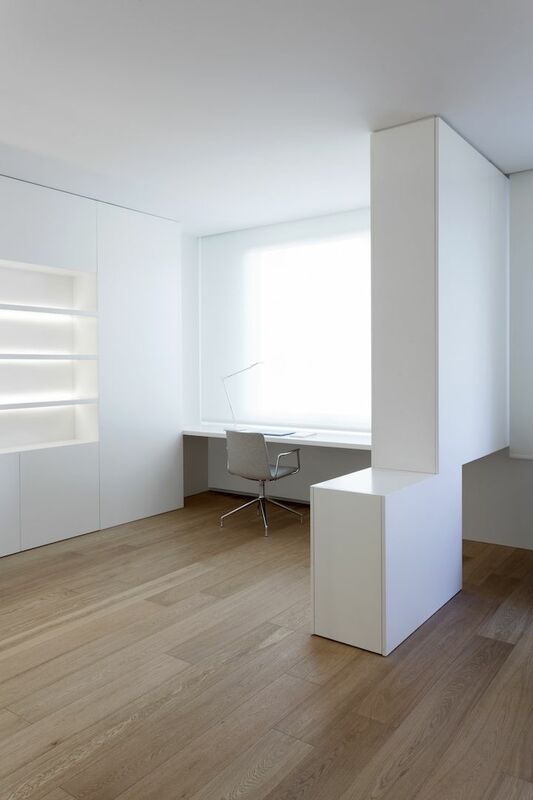 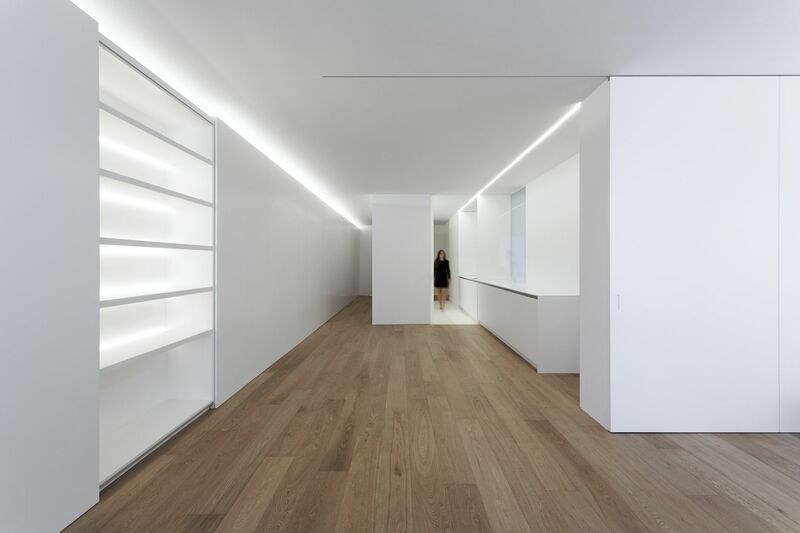 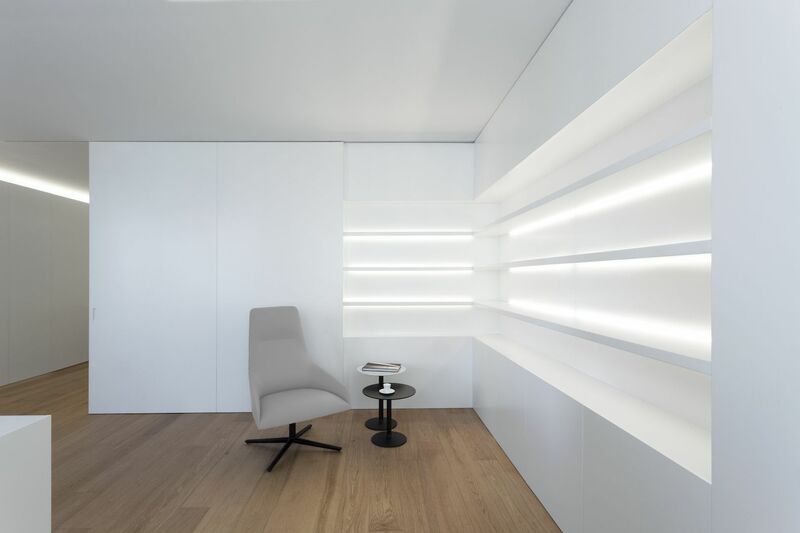 Indirect linear lighting is integrated into the ceilings, the electrical boxes disappear in the cabinets … All the precise elements are designed with the same integration criteria, making them present only when they are necessary. 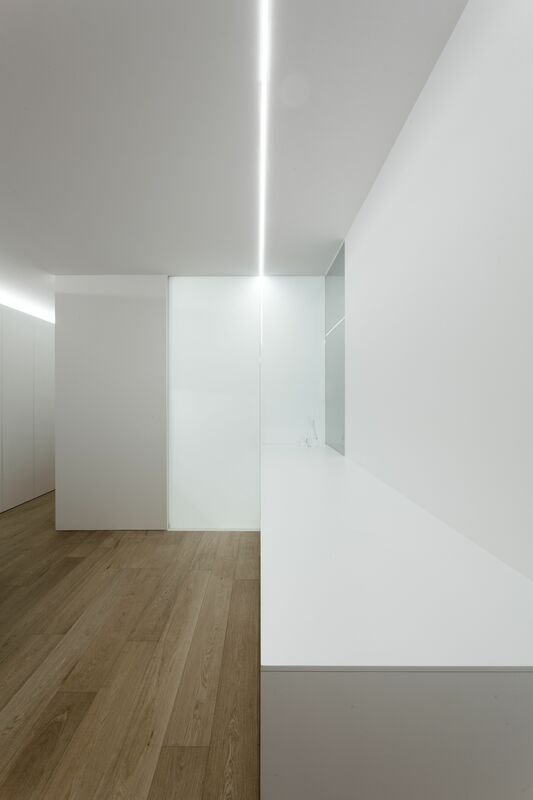 The purification of constructive “accidents” maximizes spatial amplitude, facilitates cleaning and perhaps also life. 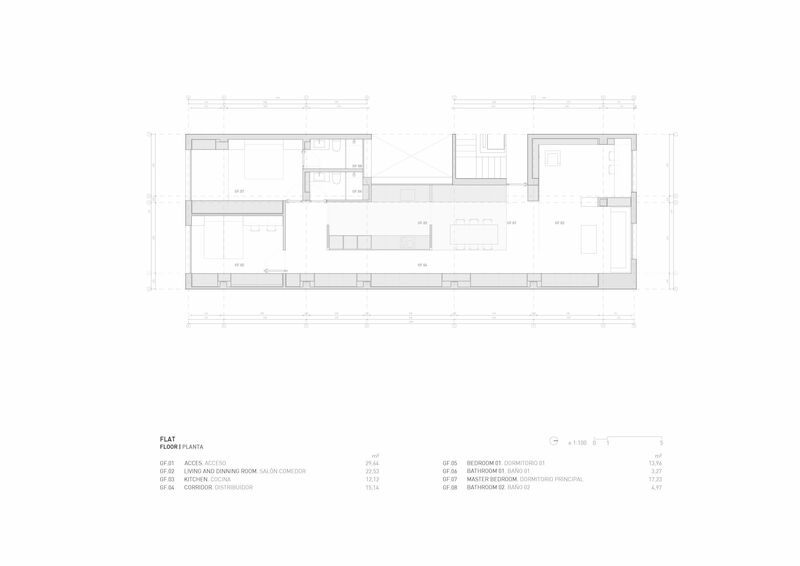 The program with two rooms makes the distribution simple. 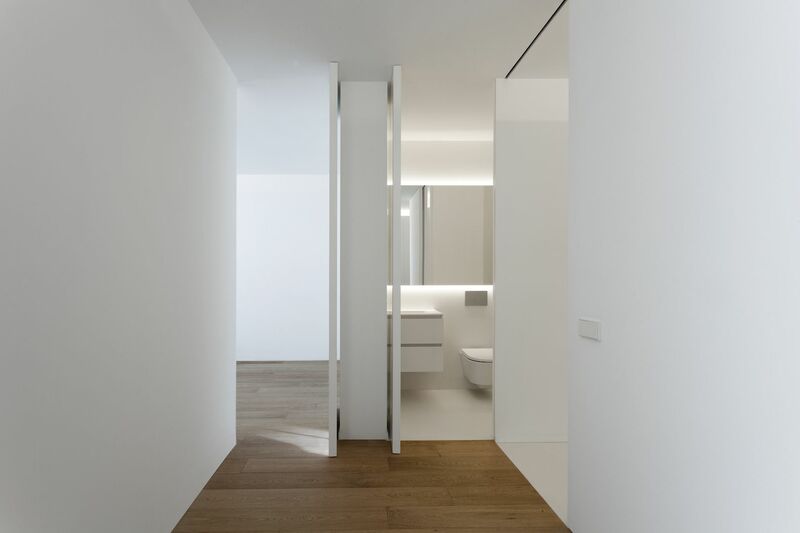 The bedrooms open to the block´s patio, the living room looks out over the main avenue, in the intermediate zone the distributor is transformed into a storage area and kitchen with a double circulation. 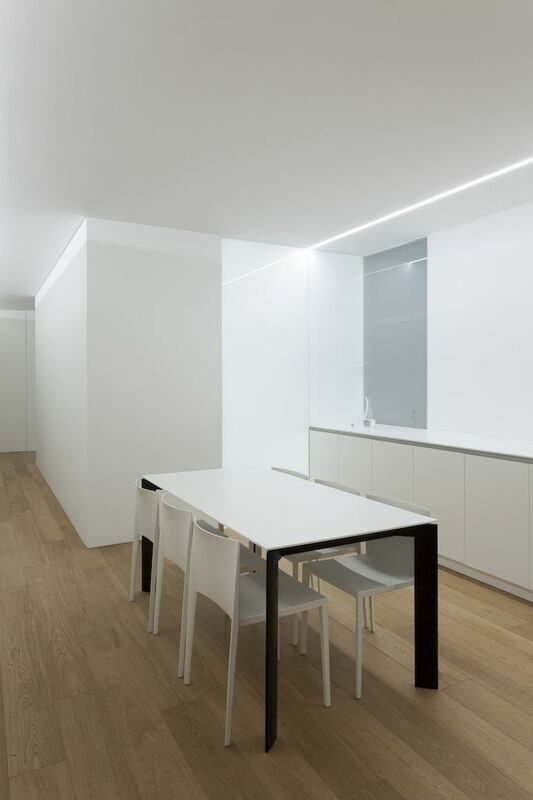 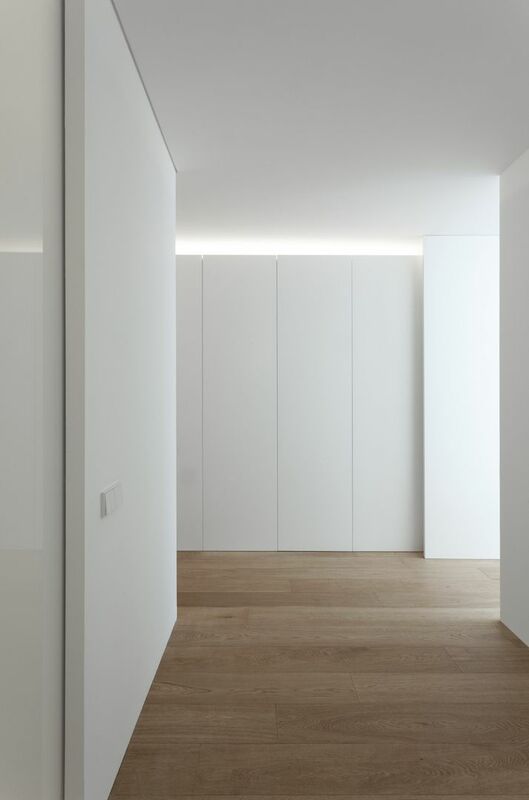 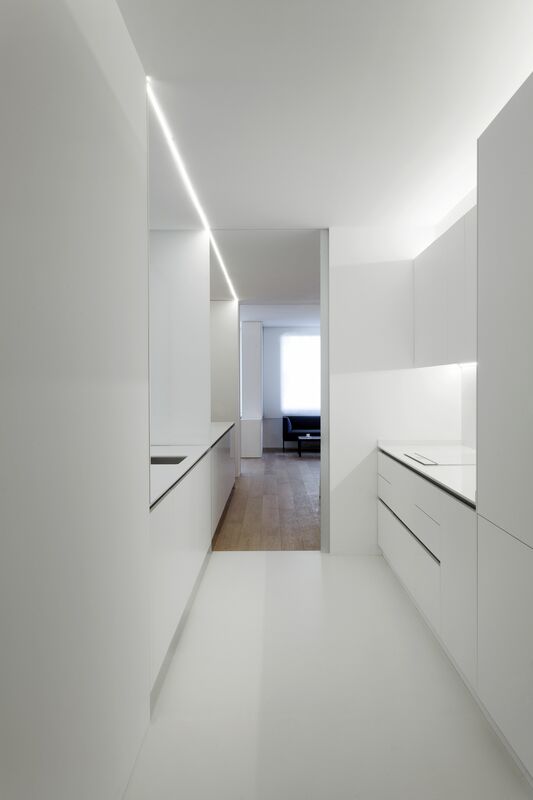 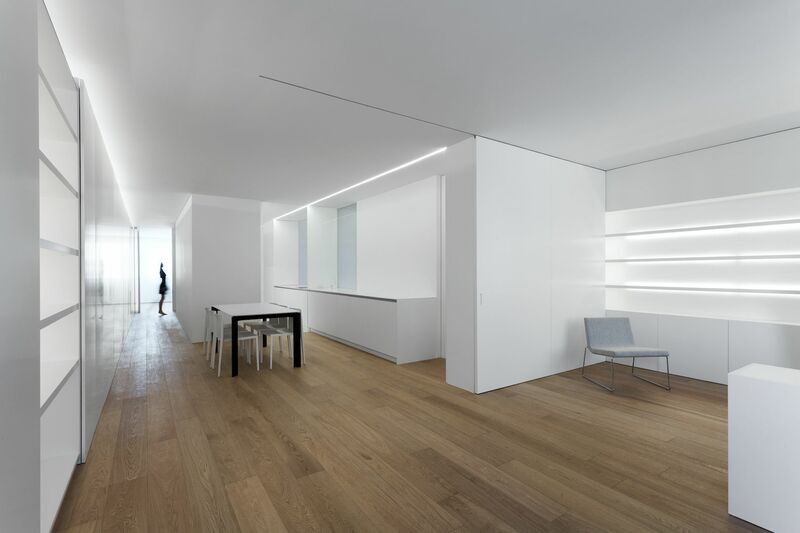 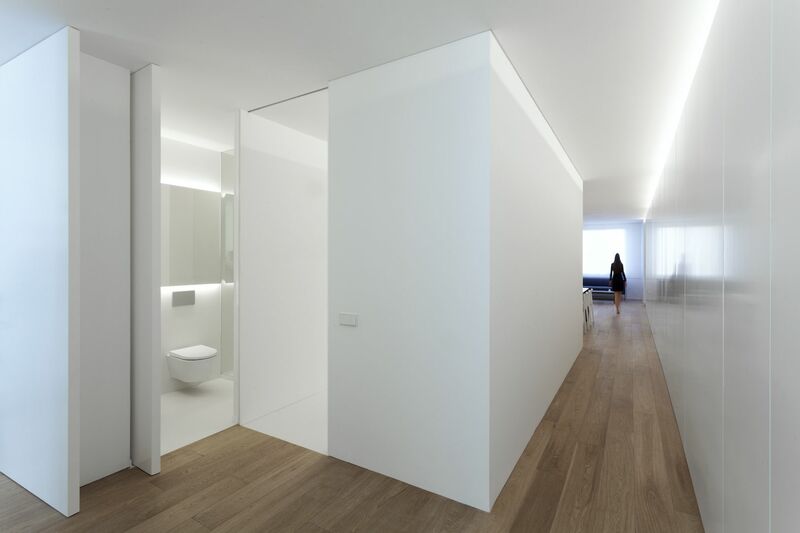 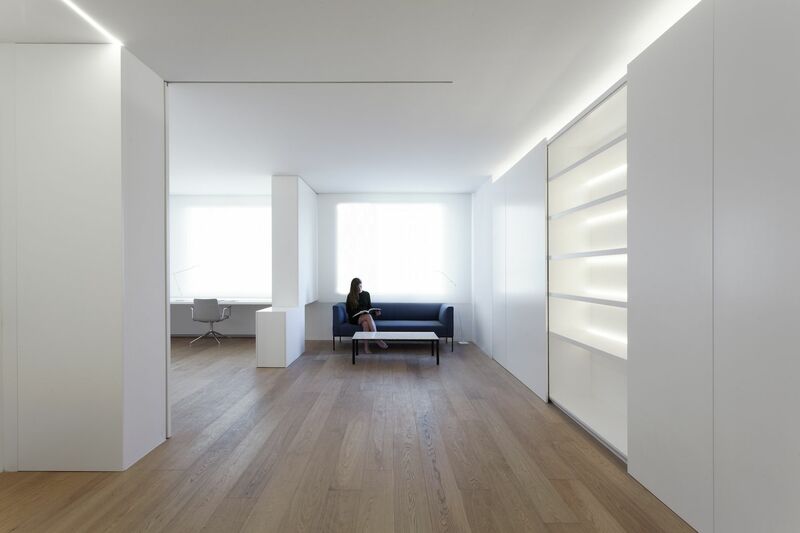 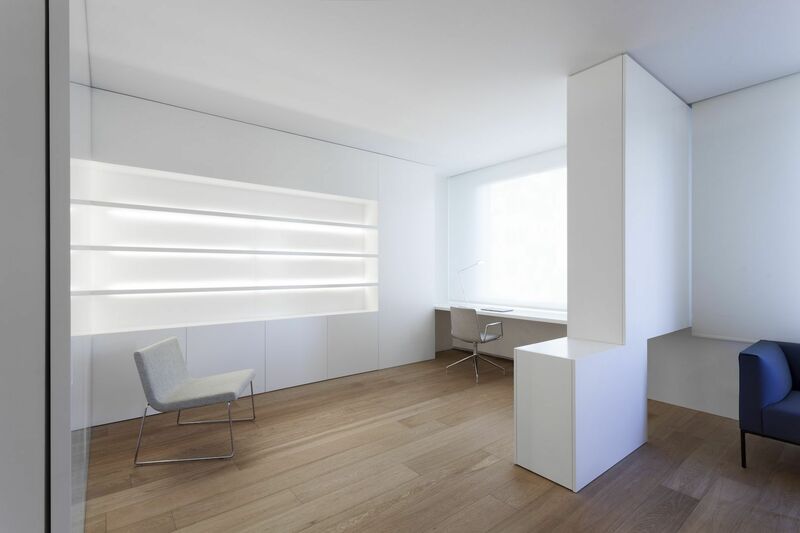 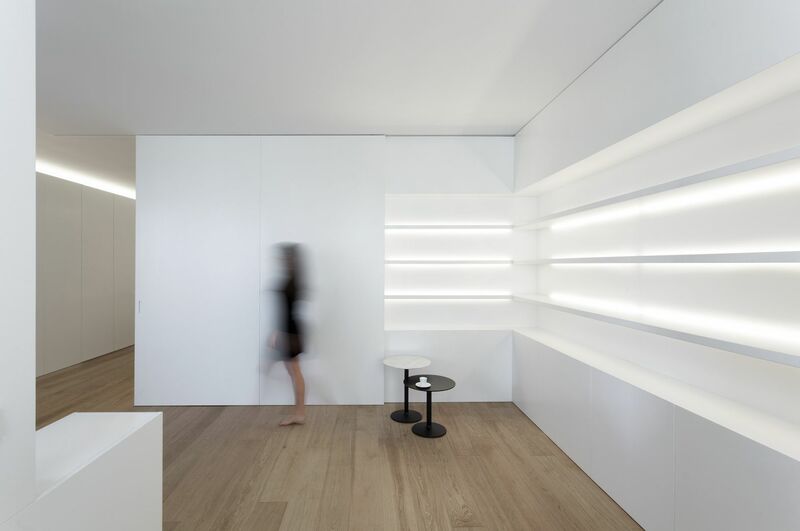 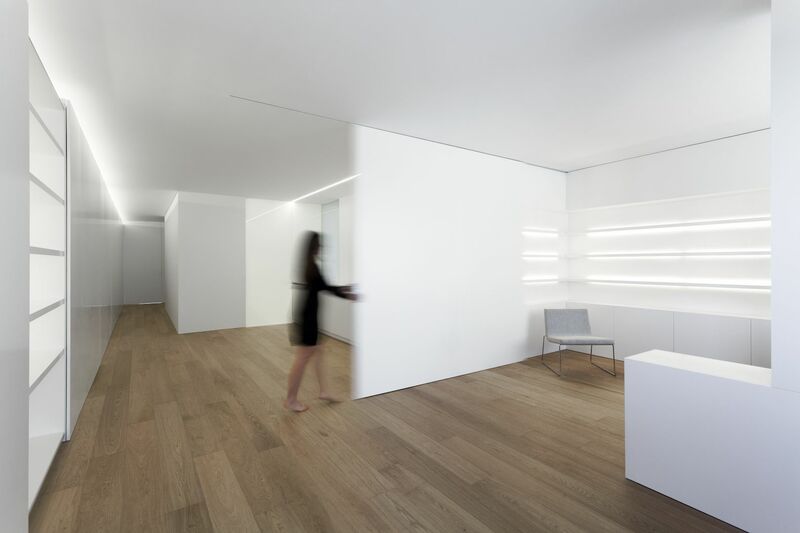 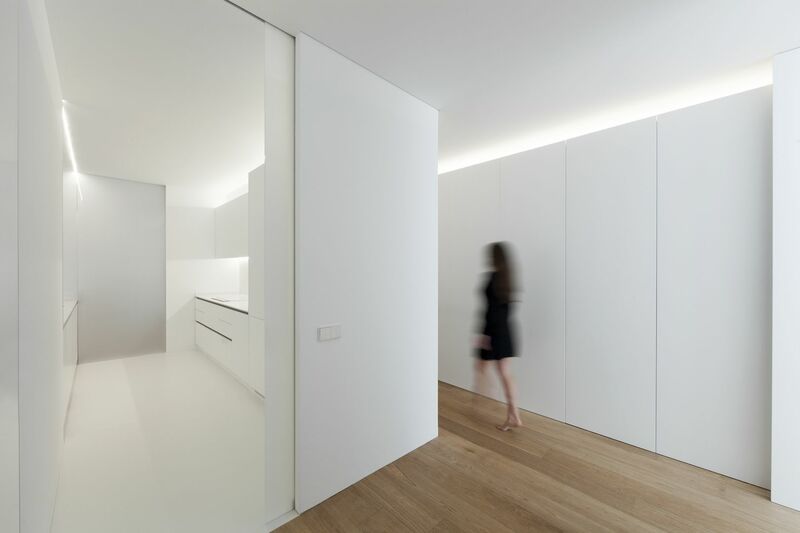 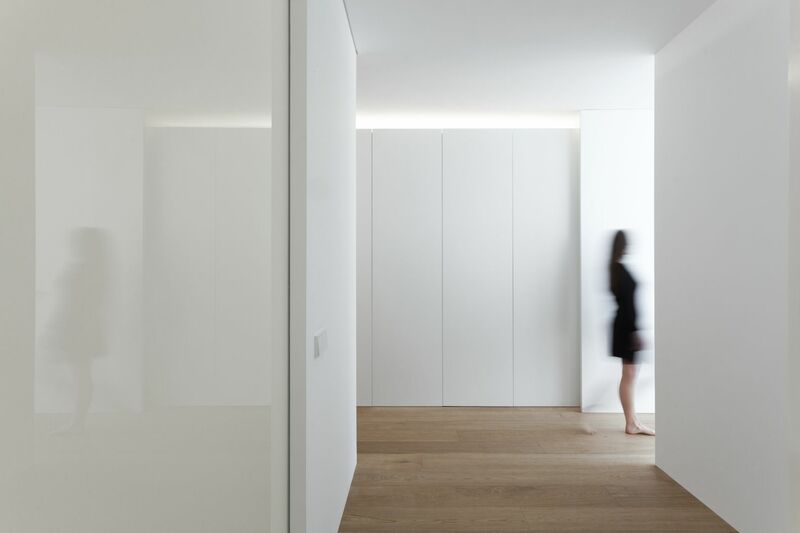 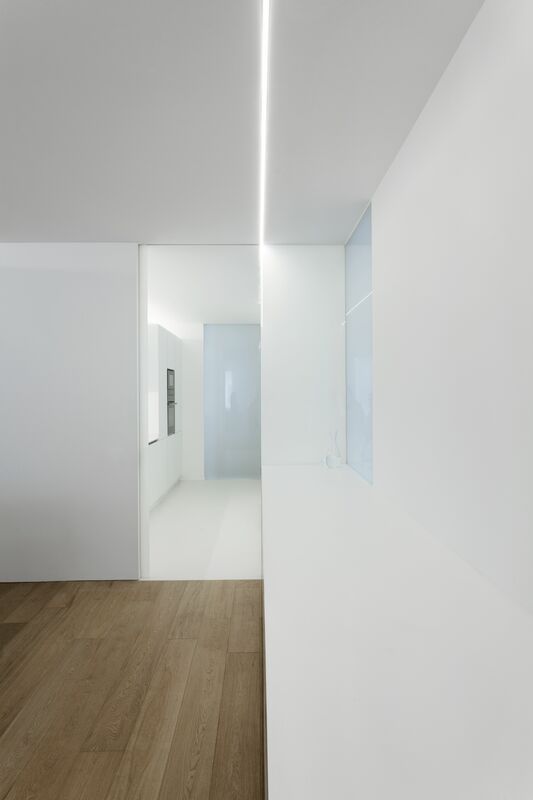 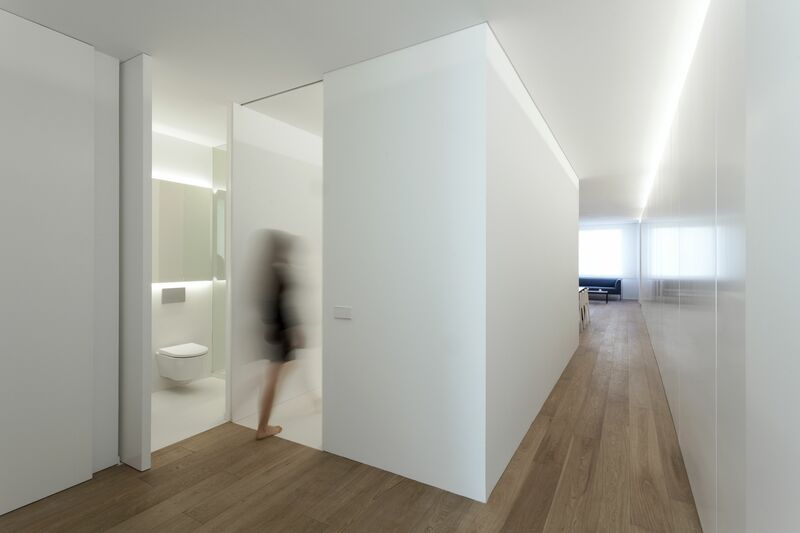 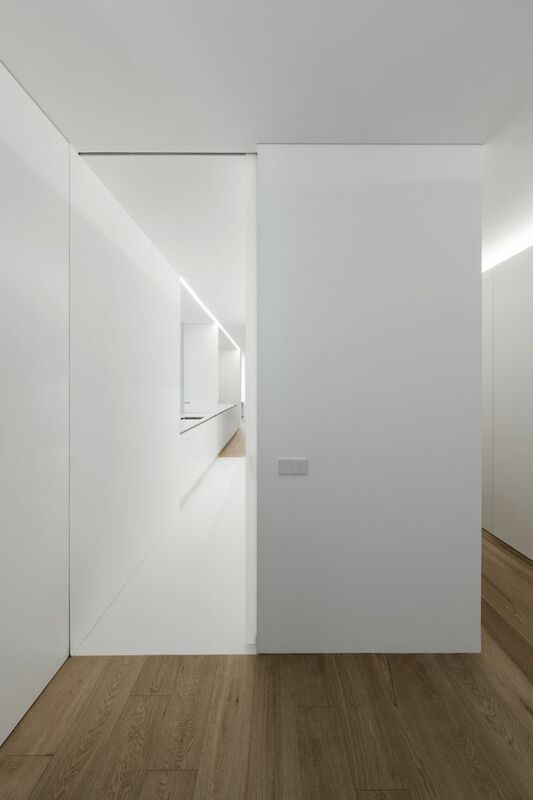 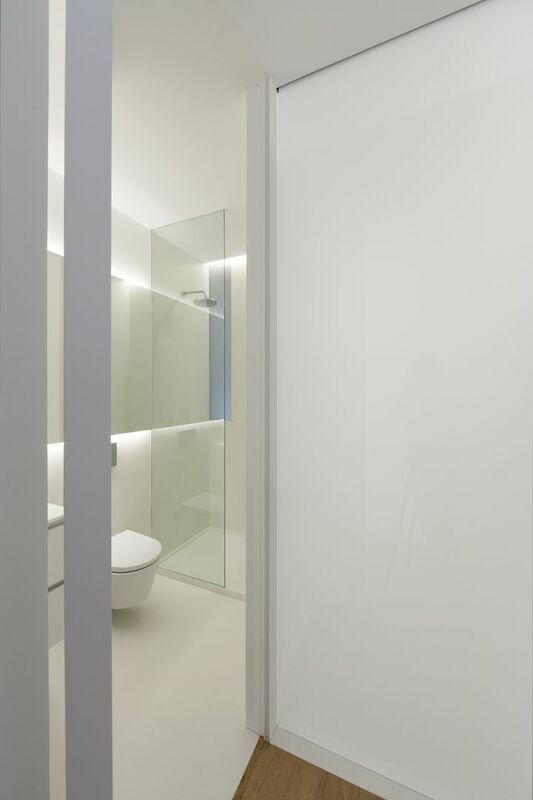 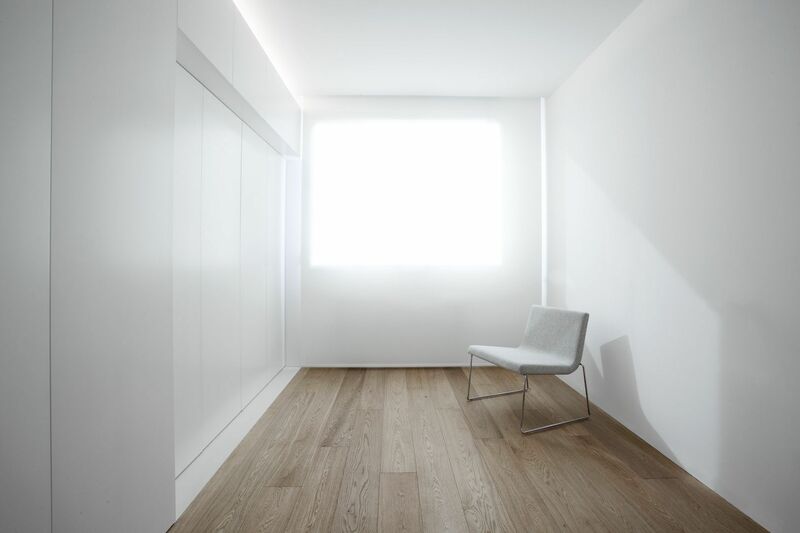 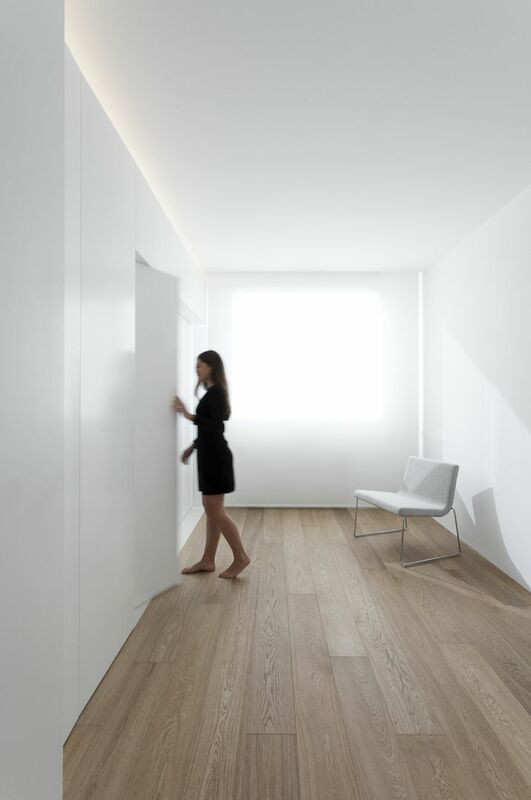 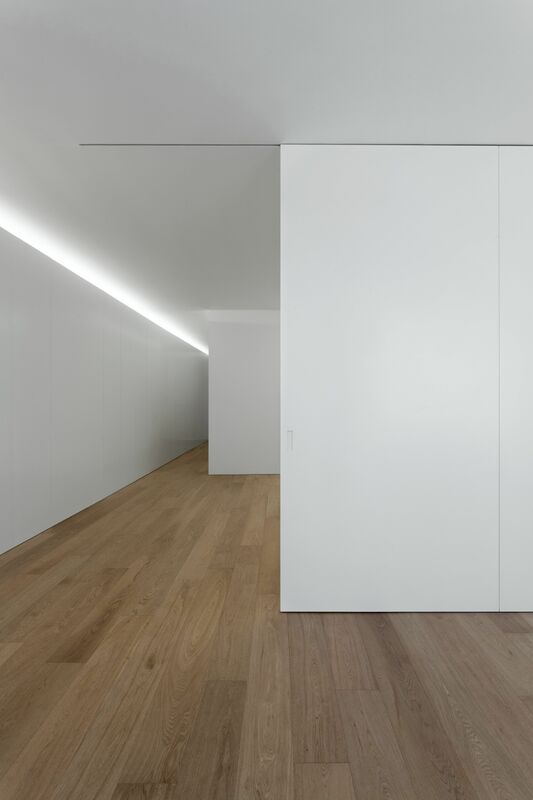 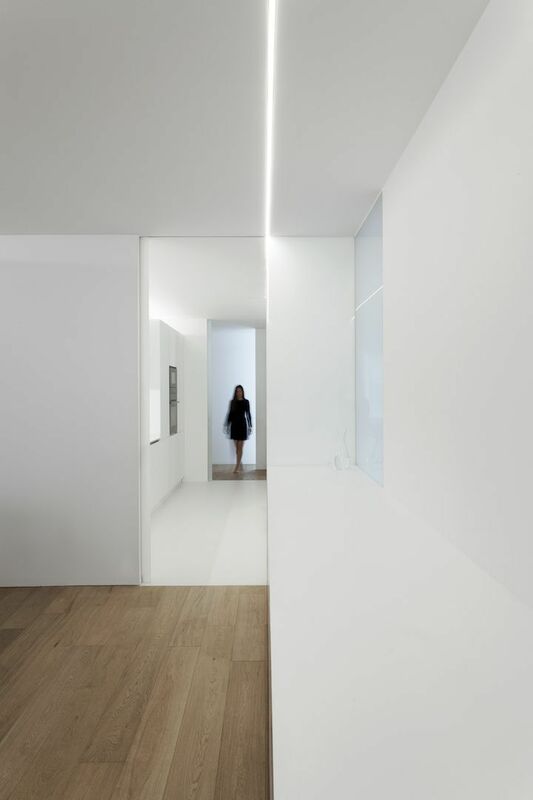 Two filters materialized in sliding doors allow the apartment to function in several ways integrating the entrance space into the living room, dining room or kitchen depending on the desires of the user or the circumstances. 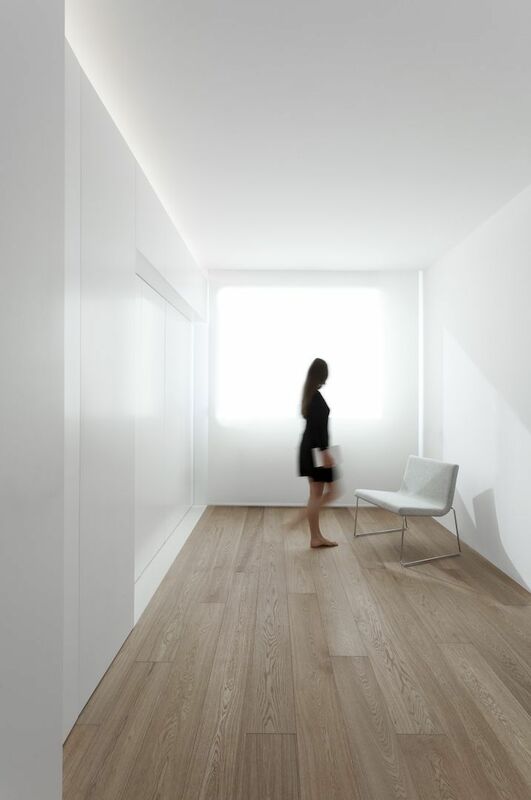 The project seeks to facilitate everyday life and promote a calm and awake perception of everything that happens in the inhabited space.